Prepare yourself! After the high tension of my initial blog, “The Million Dollar Question – What is Inquiry Based Learning?”, the evolution of my inquiry skills, “Searching! Unpacking!”, along with the deconstruction and reconstruction of my research focus in the annotated bibliography, “Information Literacy – the cherry on the lifelong learning cake?”, I intend to colligate my inquiry learning experiences by introducing you to the Inquiry Based Learning (IBL) T.A.R.D.I.S. – Tools. Analysis. Reflection. Diversity. Information. Scaffolding. The elements of this signifier are a range of components which have been evident throughout my research into IBL, Information Literacy and lifelong learning. These components are not the definitive supporting mechanisms of IBL, however, their connectivity to the three areas of investigation has resulted in my construction of the term T.A.R.D.I.S..
Dimension In Space), holds more than a superficial relationship to the elements of Inquiry Based Learning T.A.R.D.I.S.. To demonstrate the connection, it is imperative to define dimensionally transcendental, which is, an object where internal dimensions are far greater than the external dimensions. 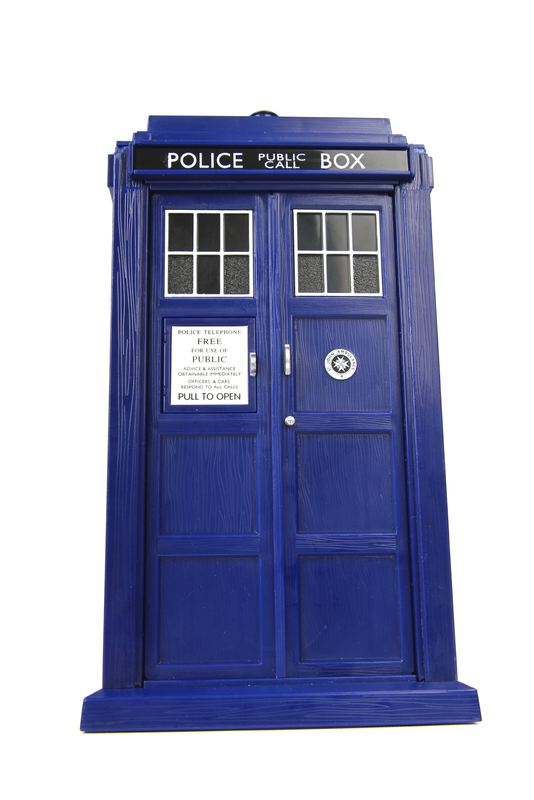 To the uninitiated, like the innocuous Police Box appearance of the TARDIS, IBL is conceived as a linear process for locating and applying information, as a literacy teacher reflected, “I thought IBL was about providing a topic and asking students to research it.” IBL T.A.R.D.I.S. is a pedagogical praxis reflecting dimensionally transcendental principles through the combination of multiple tools, skills and contexts which are the building blocks for individuals to become informed and lifelong learners (Bruce et al, 2012, p.525). T.A.R.D.I.S. building blocks provide experiences for the construction of “…knowledge by engaging students in stimulating encounters with information and ideas” (Kuhlthau et al, 2007, p.14), and relies heavily on employing more skills than locating and applying information. T.A.R.D.I.S. reflects the complexities of IBL as a powerful and multidimensional “…learner-centred pedagogy where students learn through…a culture of inquiry…” (McKinney, 2013, p.148). Engineering a culture of inquiry requires educators to adopt a multifaceted, student-centred praxis which involves learners in “…using tools to gather, analyse and interpret data; proposing answers, explanations and predictions; and communicating the results” (Maab & Artigue, 2013, p.780). Through scaffolding techniques, guidance is available to assist learners acquire critical thinking skills and offers pathways for “…students [to] collaboratively engage in constructive processing” (Hmelo-Silver et al, 2007, p.101). Scaffolding resembles a toolkit which sustains learners’ transition through the phases of IBL “…to build up for oneself… a solid foundation of … principles of behaviour” (Foucault, 2001, p.341). Such a toolkit is constantly evolving to support learners’ acquisition and skill transference, which are critical for effective participation in IBL and the development of lifelong learning. A system of underpinning skills and appropriate tools is essential to create an environment where learners feel supported to engage in, and develop behaviours to endorse their learning in an ever changing information based society (Jacobs 2008, p.258, Bruce, et al, 2012, p.527, Garner (ed), 2006, p.31, Gunasekara et al, 2008, p.2, Monge et al, 2014, p.60). To assist learners to equip their toolkit, educators need to possess T.A.R.D.I.S. componentry, in order to address and develop learners’ abilities to use multiple tools, such as, computer, media and information literacy (Horton, 2007, p.54), to access and analyse relevant information, and to establish source reliability. Central to educators possessing these skills is governmental and organisational policies (Garner ed, 2006, p.31) with clearly outlined and endorsed frameworks for professional development. One tool, in my opinion, which is essential for educators’ professional development and learners’ toolkits, is information literacy. Incorporating information literacy into IBL methodology equips learners with analytical tools to apply and diversify research outcomes by adapting them to problematic situations across various domains and contexts (Dewey, cited Kuhlthau et al, 2007, p.14). To extend learners’ capabilities to construct knowledge, they must be given the opportunity to reflect (Dewey, 1910, p.6). Reflection is the linchpin of T.A.R.D.I.S. and this element can be facilitated by the inclusion of authentic inquiry tasks which require “…considerable decision making in [the] completion and through the writing of reflective artifacts” (Herrington et al, 2014, p24). Learners exposed to tasks requiring critical reflection, have the opportunity to synthesise and advance “…deep understanding and extensive learning” (Kuhlthau et al, 2007, P.17). Kuhlthau’s Guided Inquiry-Based Learning model (2012, p.3-4) demonstrates dimensionally transcendental elements through the Immerse, Explore, Identify, Gather and Reflect phases as learners investigate and critically examine information and conclusions. This model supports Dewey’s (1910, p.15) theoretical proposal that learners must be given the opportunity to reflect on the application and solutions to processes in order to establish and argue their conclusion. My discussion has addressed T.A.R.D.I.S. mechanisms, and how this schema is connected to IBL and lifelong learning. There is however, like the ether of Dr Who’s universe, a pervasive component which is central to the toolkit, implementation of IBL and the acquisition of lifelong learning skills. Kuhlthau et al (2012, p.3) argue the goal of their Guided Inquiry-Based Learning model, is to open learners’ “…minds and stimulate their curiosity”. Dewey (1910, p.33) proposed that curiosity becomes an intellectual exercise to the degree in which educators transform learners’ interest and observations of events and materials into a focused inquiry. To activate this transformation within the context of information gathering, analysis and application, Bruce et al (2012, p.540) and Martin (2013, p.118) acknowledge the necessity for holistic and flexible frameworks. Such structures require an active commitment, from all levels of education, and the frameworks must transcend a range of educational, work and personal contexts. Effectively implementing IBL across formal and informal learning domains, Monge et al (2013, p.61) argue, requires frameworks and pedagogies which encourage an open exchange of information. Lloyd (2010, p.19-20) posits these exchanges within a community of practice and asserts “…at the core of this process is information”. This statement conveys the cyclical nature of T.A.R.D.I.S. elements and the role of IBL pedagogies practiced in today’s dynamic information and knowledge-based society. Fostering inquiring minds and habits to confront unknown and uncertain futures (Artigue and Blomhoej, 2013, p.808), learners must be creative thinkers and problem solvers (Maab & Doorman, 2013, p.887 ) who actively respond to the demands of constructively negotiating and processing information (Hmelo-Silver et al, 2007, p.101) for mean-making to traverse the interconnected domains of their lives. I believe the following quote, attributed to Plutarch, exemplifies T.A.R.D.I.S. elements and provides practitioners with a concise overview of how to approach Inquiry Based Learning. Artigue, M., Blomhoej, M. (2013). Conceptualising inquiry-based education in mathematics. ZDM Mathematics Education 45:797-810. DOI 10.1007/s11858-013-0506-6. Foucault, M. (2001). L’hermeneutique du sujet. Cours au Collège de France 1981-1982. Paris: Gallimard Seuil. Hmelo-Silver, C.E., Duncan, R.G., Chinn, C.A. (2007). Scaffolding and Achievement in Problem-Based and Inquiry Learning: A Response to Kirschner, Sweller, and Clark (2006). Educational Psychologist, 42(2), 99-107. Horton, F.W. (2007). Understanding Information Literacy: A Primer. UNESCO, Paris, France. Kuhlthau, C., Maniotes, L.K., Caspari, A.K,. (2007). Guided Inquiry: Learning in the 21st Century. Westport, Connecticut, US. Martin, J. (2013). Refreshing Information Literacy – Learning from recent British information literacy models. Communications in Information Literacy Volume 7, Issue 2:114-127. McKinney, P. (2013). Information literacy and inquiry-based learning: Evaluation of a five-year programme of curriculum development. Journal of Librarianship and Information Science 2014 46:148-166. Monge, R., Frisicaro-Pawlowski, E. (2014). Redefining Information Literacy to Prepare Students for the 21st Century Workforce. Innovative Higher Education, 35, 59-73. Doi: 10.1007/s10755-013-9260-5.